Vintage, fun and whimsical yard art at its best. 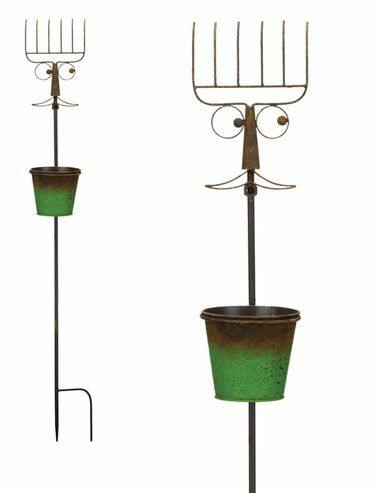 The striking colors and whimsy of our new Garden Planter Stakes will inspire conversations and have everyone taking a second look. Handcrafted from weather resistant powder-coated metal. Display both partners dramatic charm: Moustache & Specs! Size: 6.5" x 7.5" x 45"H., Metal.